Starbucks CEO's words rang truer than ever on Macy’s (M) conference call on Wednesday, and the market reacted devastatingly, causing a 12% selloff in shares. While recent positive news from Kohl's (KSS) today and J.C. Penney (JCP) yesterday provided some comfort to the retail sector, these represent improvements from a low base for two companies that floundered during the market rally since 2009. Iconic American retailer Macy's -- growing out of a New York City fancy dry goods store in 1858 and accelerating growth after the merger of May and Federated in 2005 -- had a strong run since the recession, rising from the single-digits to highs near $70 a share this spring, aided by its M.O.M. initiative with an aim to boost customer engagement. (M.O.M. 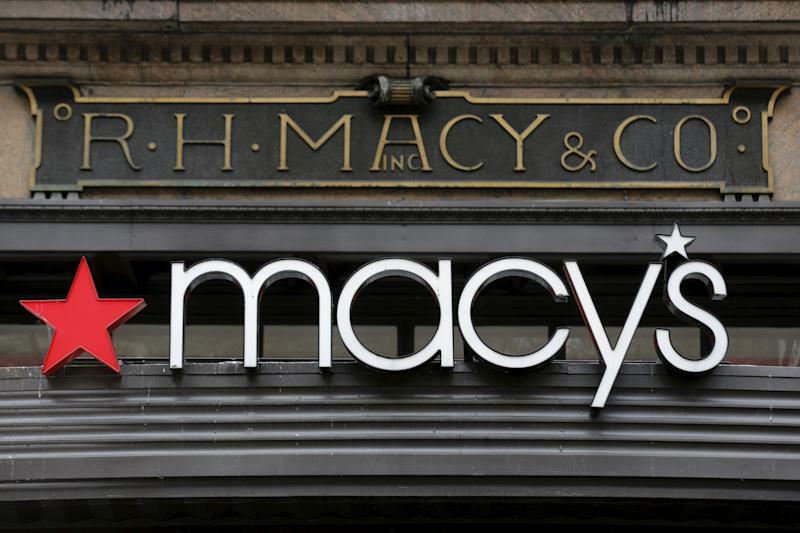 : "My Macy’s," the chain's localization initiative to get the right mix of merchandise; "omnichannel," to embrace an integrated online and mobile strategy; and "Magic Selling," to improve the shopping experience through people and technology.) But M.O.M. isn't proving such a powerful acronym these days. The quarter was difficult, to put it kindly. Top-line and bottom-line came in well below already-tempered expectations. Same-store sales declined 3.9% year-over-year and excuses of warmer weather, weakened tourist traffic, and slower growth in footwear and accessories didn’t inspire confidence in investors. Plus, 5% inventory growth and a decision not to pursue a REIT spin-off further pressured shares. But one head-scratcher on the conference call was Macy's Chairman and CEO Terry Lundgren's assertion that the current difficulties reflect a tough period which occurs every 5 to 7 years. This view conflicts with increasingly strong macro indicators, including the latest unemployment report which showed strong payroll gains and unemployment at a seven-year low of 5%. In other words, this new comparable-store sales paradigm for Macy's may be more permanent than the cycle Lundgren referenced, and instead the upside may be shifting to outside the department store. Based on his comments about Macy's, Lundgren gave us clues on where the opportunities are in the retail sector. Here are 5 retail categories poised to gain. First, Macy's expects to close roughly 35 to 40 stores in early 2016, as it executes a plan to decrease its 900-store base. The continued secular shift to e-commerce spending has become the most important shift in retail over recent years, and e-commerce behemoth Amazon (AMZN), up 113% in the last year, has remained a consistent winner. Second, on the call Lundgren said consumers are spending in categories "such as automobiles, in home improvement, certainly in technology and healthcare." Points for Apple (AAPL) and home-improvement names Home Depot (HD) and Lowe’s (LOW) that continue to benefit from improving housing prices as well. The auto parts companies like AutoZone (AZO) and O'Reilly (ORLY) have also been on a run this year, though they are being hit today after a disappointing quarter from Advance Auto Parts (AAP). Third, off-price. Macy's is prioritizing its bargain "Backstage" concept which currently has 5 freestanding stores and plans to roll out 50 in the next two years. Nordstrom (JWN), which reports Thursday after market close, has also highlighted Nordstrom Rack as a growth area. The winners? TJ Maxx (TJX) and Ross Stores (ROST) which have been flying over the last year, up 9% and 18%, respectively. These two should also benefit from high inventory levels at department stores across the industry, as some of that merchandise will go to the off-price names. Fourth -- and tied to the popularity of bargain stores -- the names that are winning on traffic and in-store experience are ones that have developed a treasure-hunt like in-store experience, a la TJ Maxx and Ross. On the high-end, Restoration Hardware (RH), up 23% in the last year, has transformed the in-store experience. And L Brands (LB)— parent company of Victoria’s Secret and Bath & Body Works—can’t seem to stop, up 20% in the last year. At the beginning of the month, the company hosted an investor day predicting the quarter will be a “record one" and highlighted Victoria's Secret sales per square foot going up while adding significant square footage. October same-store sales for the company came in 5% higher and momentum is poised to continue. And finally, activewear names. Macy's called out this category as an area of strength, and we have continued to see a bull market for yoga pants and running gear. The key winners? Nike (NKE) and junior growth name Under Armour (UA), which has been capitalizing on connected fitness, including investments in MyFitnessPal. Both are also well positioned ahead of the 2016 summer Olympic Games in Rio. Macy's missed its miracle on 34th Street this past quarter, but the retail sparks from subsectors should not be ignored.